Last week I had the pleasure of upgrading vCNS 5.5.4 to NSX 6.2.3 at a customer that also was running Trend Micro Deep Security 9.6 SP1. Before the upgrade I checked the compatibility matrices here, here, here and here and it looked like everything checked out. So I went ahead with the upgrade and the upgrade went super smooth and ran without any issues. After the upgrade was completed I linked the Trend Micro Deep Security Manager to the NSX Manager and we protected the VMs and again all looked good. 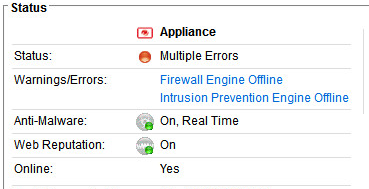 But then… I ran into the most annoying error know to man (with Trend Micro Deep Security) “Anti-Malware Engine Offline” and “Web Reputation Engine Offline”. Check, all ESXi hosts have the Filter Driver Removed. Check, all VMs have an updated version of the VMware Tools with the Guest Introspection option enabled. Check, NSX 6.2.3 is licensed as “NSX for vSphere”. Check, Anti-Malware and Web Reputation is licensed. Check, the correct NSX Security Policy is in place and applied on all VMs. Check, the NSX Guest Introspection Service VMs are deployed and service is up and running. 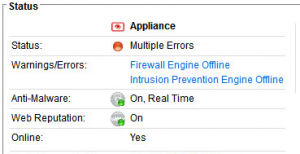 Check, the Trend Micro Deep Security Service VMs are deployed and service is up and running. Bingo! Disabling the Web Reputation solved also the “Anti-Malware Engine Offline” error. We have a lead!